Make a statement with our sustainably-produced seeded paper that is infused with wildflower seeds. 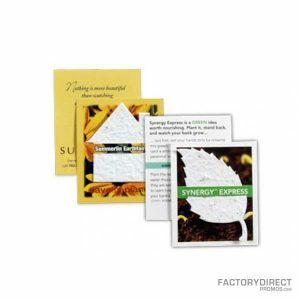 The paper comes in a wide selection of colors and is printable only by letterpress due to the rich texture; we also offer white paper with a mixture of smaller wildflower seeds that accepts full-color printing. 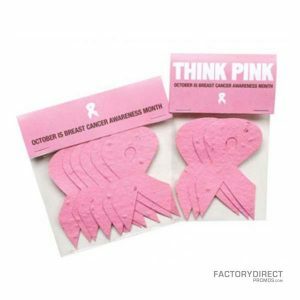 Spread the word regarding your business or an event on this biodegradable and recyclable paper. 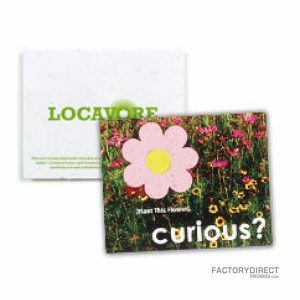 Once you get the message out there your clients can plant this eco-friendly seed paper and enjoy the flowers that will sprout. Wildflower seeds are the default standard; however, we can create custom mixtures of nearly any flower seed, as well as many vegetable and herb seeds. The paper comes in standard size sheets of 8.5″ x 11″, but custom sizes are available. For specific questions or to create your very own custom seed paper, contact one of our Seed Paper Specialists by calling 1-866-222-0949.